Metals-Piping supplies Inconel 600 wire mesh and wire cloth to a variety of high-temperature corrosion-resistant services such as filtration and heat-treatment furnace. Raw Material: ASTM B166 UNS N06600 cold-drawn wires, annealed; Wire Diameter: 0.05 mm~2 mm, Mesh: 0.5~120 mesh/inch; Weave Pattern: plain, square, twilled, dutch. Inconel 600 wire cloth & wire mesh supplied to a client from Chile, 0.9m x 6m & 1.2m x 9m, respectively. Alloy 600 wire mesh is also used for the fabrication of filter screen in chemical or petrochemical plant. 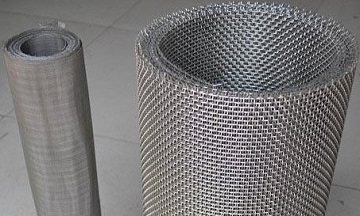 The filter screen may be made from multiple-layers of sintered Inconel 600 wire mesh which is usually furnished with perforated sheet for strengthening purpose. 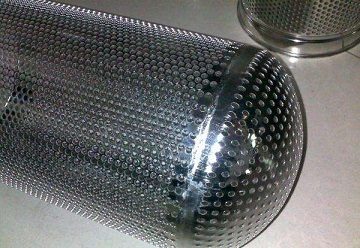 A filter screen made of perforated Inconel 600 sintered wire mesh (5 layers), for an Australian client. 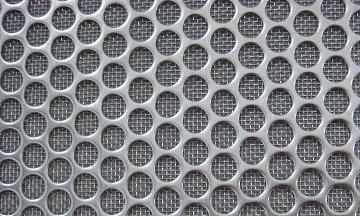 The enlarged view of the perforated sheet which covers the sintered layers.